Hello everyone Pam here today! This is my first "Fall" card that I have every made! It is something we do not celebrate in the UK as you do in US. 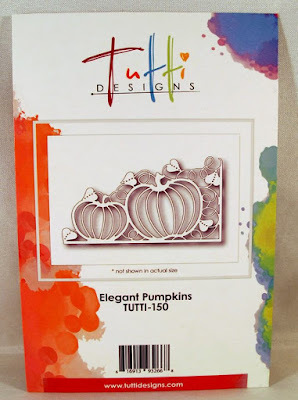 I cut this corner in cream card using "Elegant Pumpkins" ..on the reverse, before the negative pieces fell out ..I used super sticky double sided tape to hold them in place. Next using distress markers in orange shades I coloured as shown, the leaf with swirl a mix of green pens. 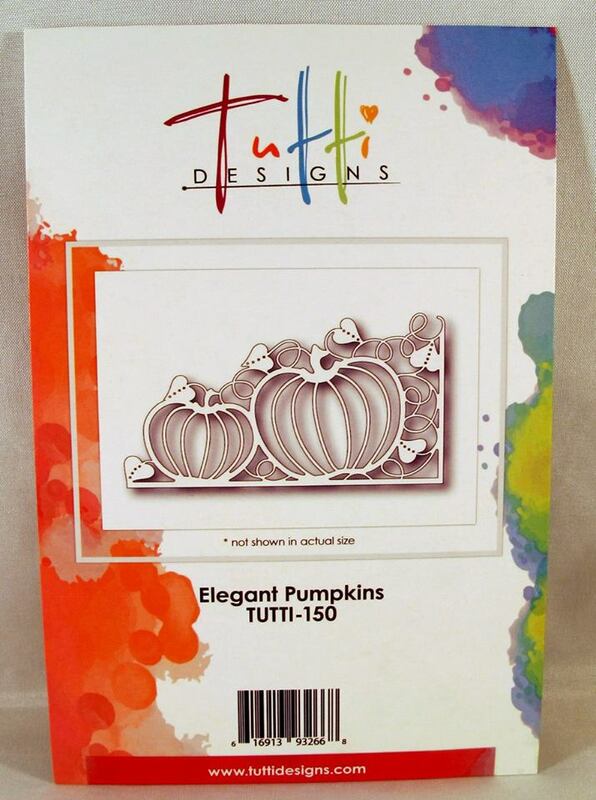 To add dimension I used 3d foam tape behind the pumpkins only, placed these onto brown card that has been embossed in a folder with leaves..
Next using glossy accent on the coloured orange only, hope you can see the shine! Using watered down white Gesso added splatters.. Thanks for stopping by, hope you like my take on a fall card Pam. It is Tuesday and my day to share with you this Tutti Designs Holiday Bench die on my card. I had a lot of fun cutting this die with different card stock and like the wood pattern paper for this card with the Christmas music paper behind it measuring 5 1/4" x 4 1/4". I just cut the die out and tapped it on the table and most of the pieces just fall out. 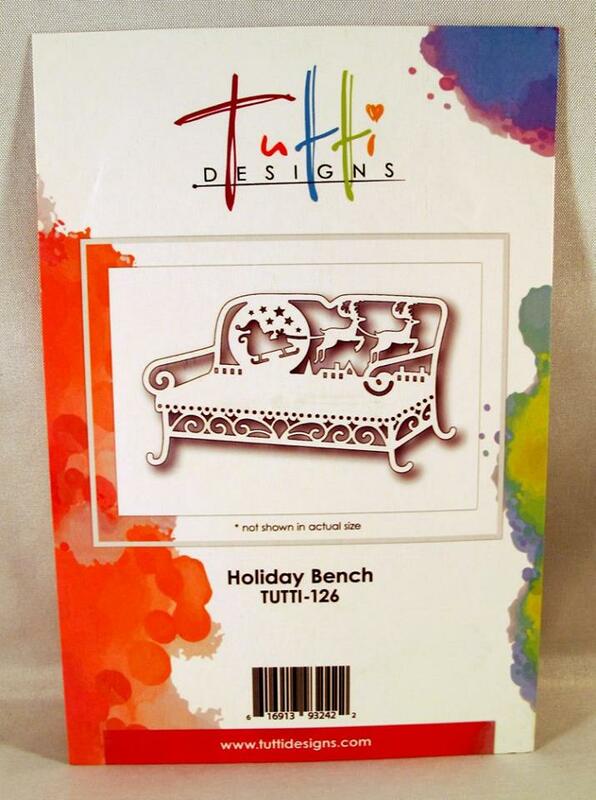 I distressed the paper with ink and cut out a frame to accent the holiday bench. I added some glitter spray to the red and pink roses. Thanks again for stopping by and would appreciate a comment on the blog. You'll want to be sure to pop over to the *NEW* Tutti Designs Store and check out all the beautiful dies. It's Monday, so it's Nancy Nickel here with a new Tutti Designs DT share! This week I am using the beautiful "Holiday Spirit Tree"
that you can find right HERE. I've come up with a project that would make a lovely gift. I began by making a small gift bag out of cardstock. and added a few of the cut out snowflakes. Then I went on to make four cards to go into the gift bag. I cut 4 each of an A2 card front, and the tree dies. I adhered the tree to the center of the card front. 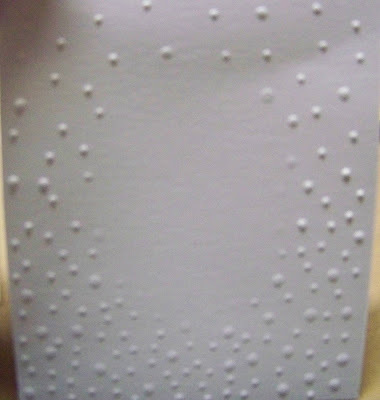 Then I ran it through the an embossing folder. Any small, all-over design, will work beautifully. 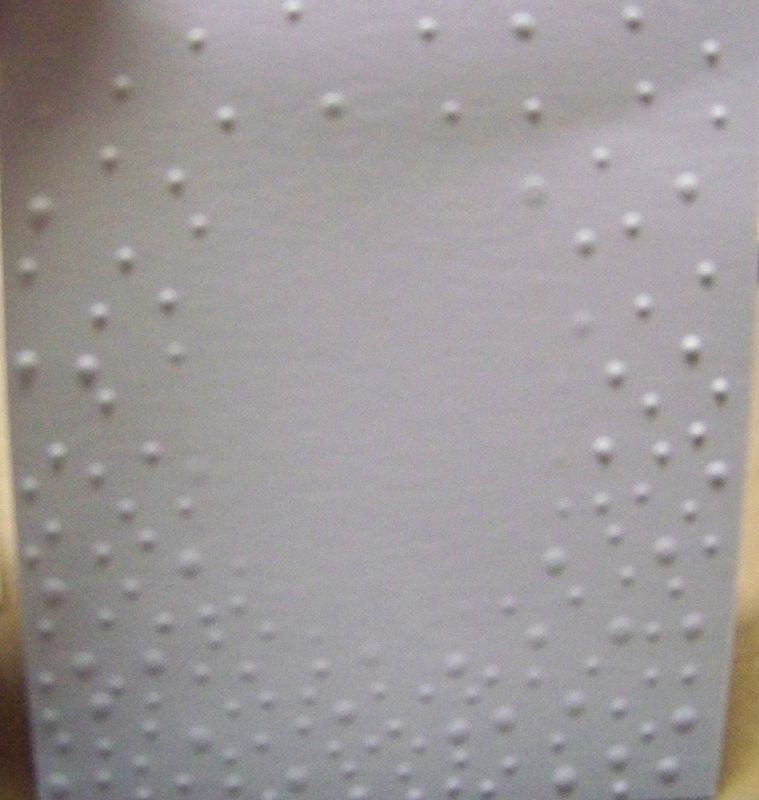 The embossing always stretches the paper out a bit. so that the A2 Card base framed it. Then I adhered it to the card base. and tied a ribbon around them. well, NOT quite yet! LOL! Happy Sunday Everyone! Darlene with you today!! and scarves before you know it. ALSO ... those holiday cards! perfect for holiday mass production. 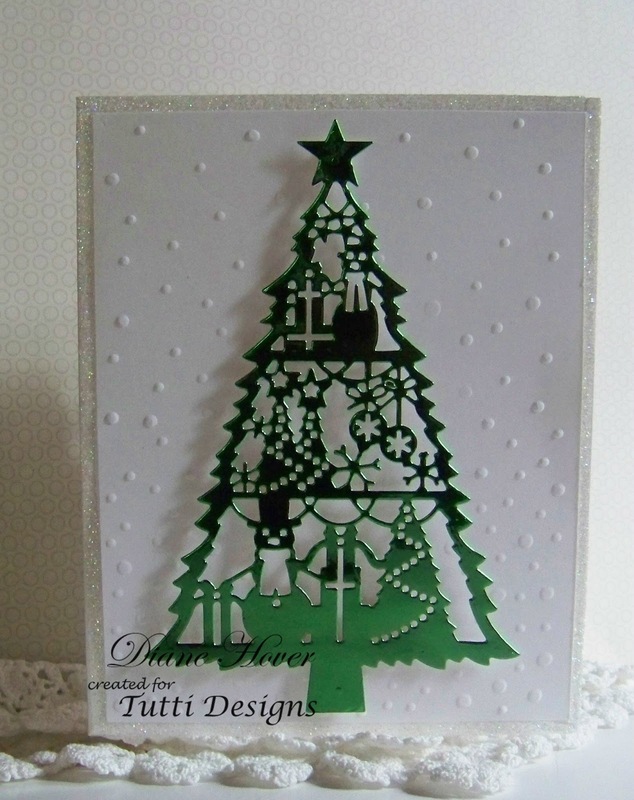 The die I've used today is the Tutti Designs 'Santa in Mitten' TUTTI-134. it would be fabulous Just like team mate Nancy shared HERE. 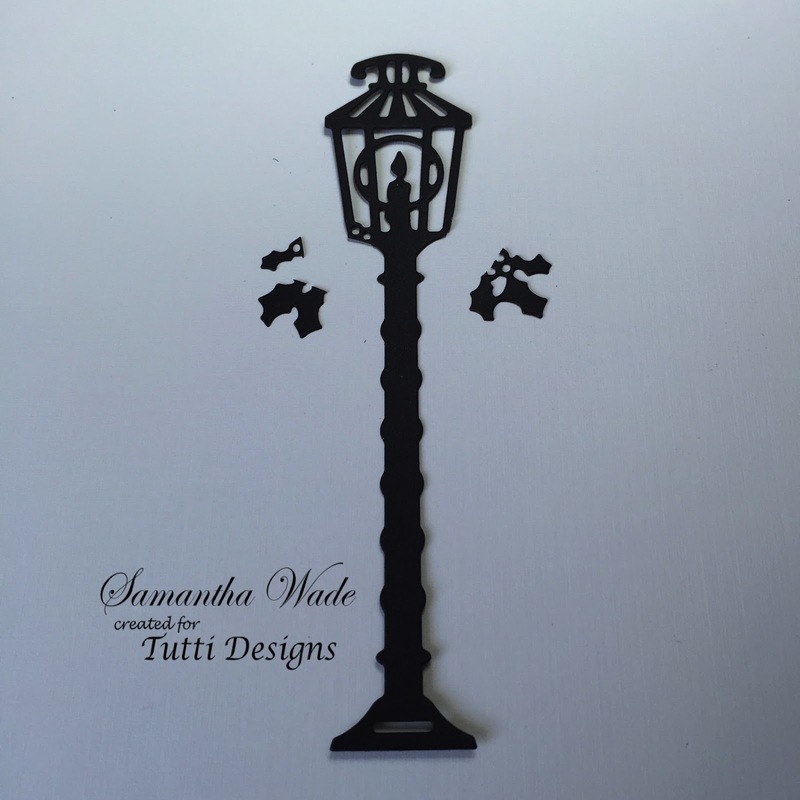 SO MANY WAYS you can use this die cut! Here's what I decided to do . . .
Yep, the old fashioned way ... just like back in grade school art class . . . trace & cut! LOL! and make a mitten for the other hand! 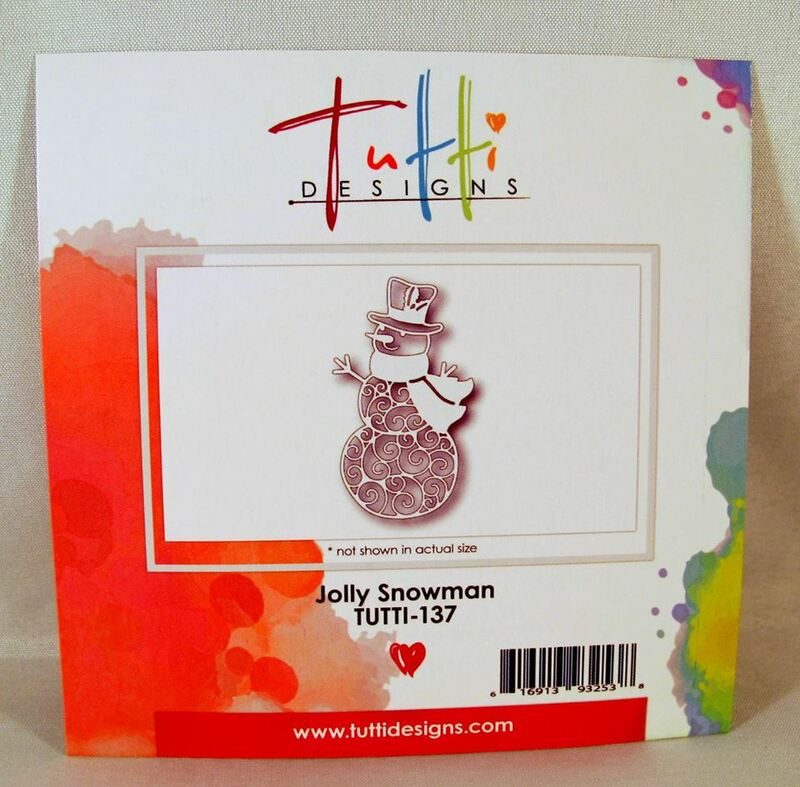 Please be sure to pop over to the Tutti Designs Store and check out all these fabulous dies. They are a new company, only on their 2nd/3rd release and WOW are they fabulous! If you haven't already made a purchase ... what are you waiting for??? Need inspiration? 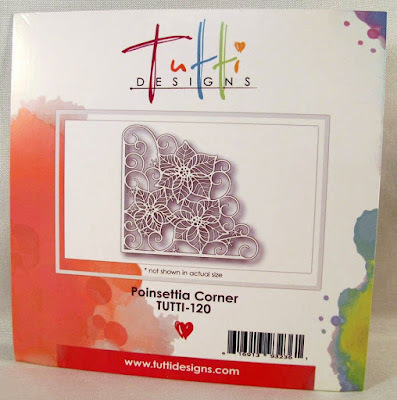 The team has something new to share over on the Tutti Designs Blog EACH and EVERY DAY! Pop on over and see for yourself ... what a talented group of designers!! 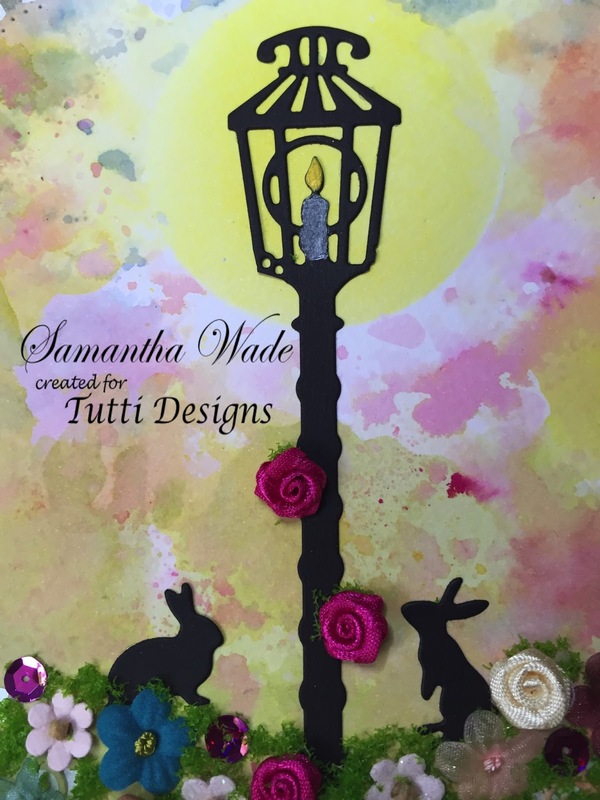 with another creation for Tutti Designs!! Hi Tutti fans! Team Member Monica here sharing a card I made using TUTTI-101 Butterfly Oval. I used some gold foil paper to punch the die out and then used some actetate to create a window front to the card. 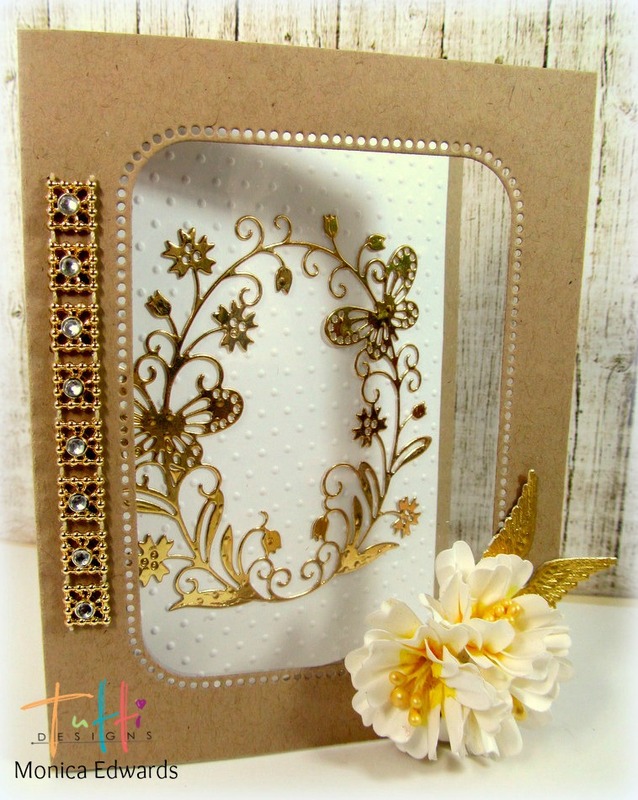 I added some handmade flowers and some gold trim to the card to bring all the colors to life! Today is Holiday Lamp Post, TUTTI-136. 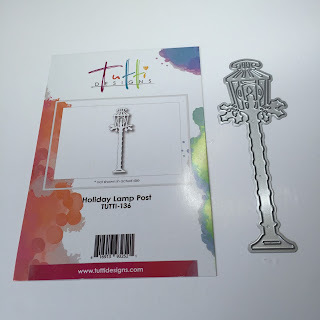 I thought it would be good to show how versatile this die is and not just for Christmas. So here i show how to cut the holly off to make it all year. I created the summer evening background with Distress Inks. Then coloured the flame with a gold pen and the candle with a white pen. Glue the lamp post onto a background and a variety of flowers, two bunnies and some grass. Christmas lamp post to summer evening lamp post. Hope you like this scene. that you can hardly stop looking at it. so that is what I am going to show you today! 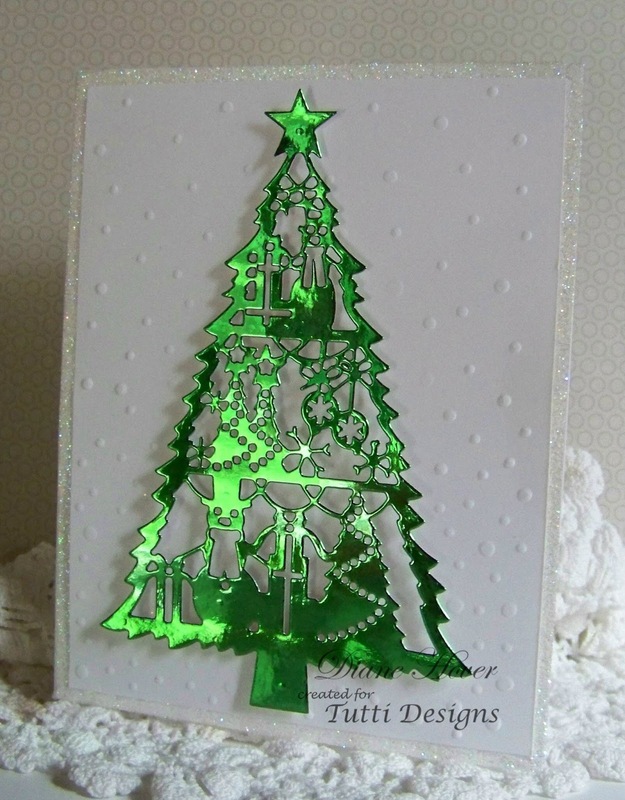 I started out by using a snowfall embossing folder. 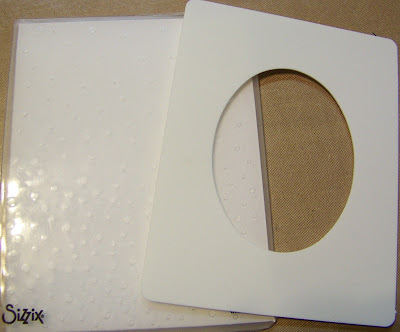 of the folder so it would not emboss the center. This is what it should look like before you emboss it. set it on your 'A' plate, with a 'C' plate on top and run it through your machine. Now every machine performs differently so do not force it! Just play around it with a bit until it feels right for YOUR machine. then die cut any shape from it you desire and follow the instructions above. then using my finger, added diamond glitter to the edges. 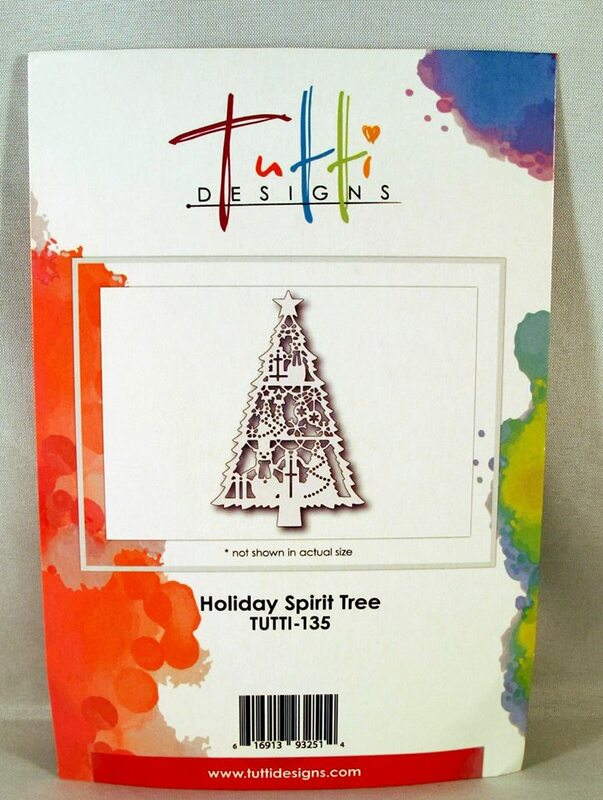 The embossed piece with the Holiday Spirit Tree was then placed on top. Wednesday! on the Tutti Blog. 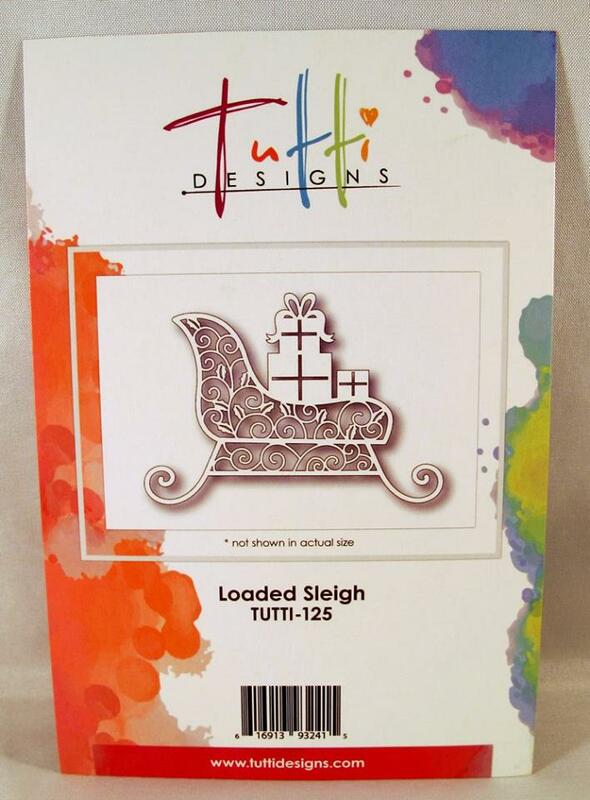 I added more parcels to the "Sleigh" these were cut with Fancy papers!! Bow detail Glue pen and silver glitter, I did the same too the Sleigh! 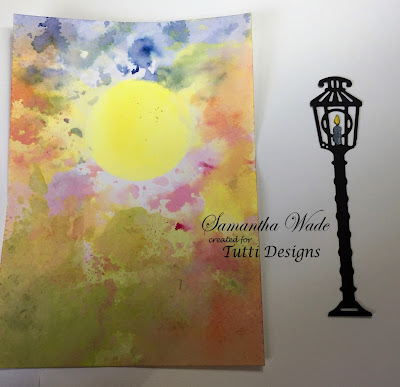 Background I dry embossed in a folder, this was shaded with Distress Marker "Shabby Shutters. Couple of sentiments from my stash, Gifts Galore & Christmas Wishes on a tag with some flowers again cut with paper..
Will be back to share another card next Wednesday, hope you call back daily to see the fabulous DT makes, using these Tutti Design dies. Christmas in August but never too early to begin Christmas cards. 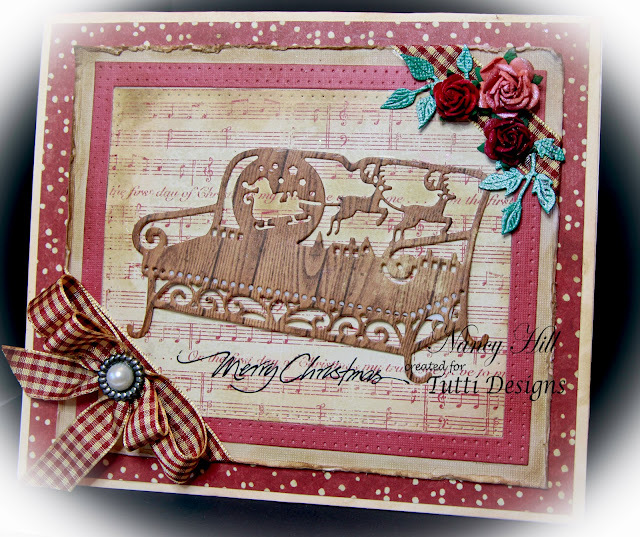 Welcome back to my Tutti Designs blog every Tuesday for Nancy Hill. I am excited to share with you this stunning Tutti Designs Poinsettia Corner die and what a gorgeous Christmas die for any card to give it that "WOW". 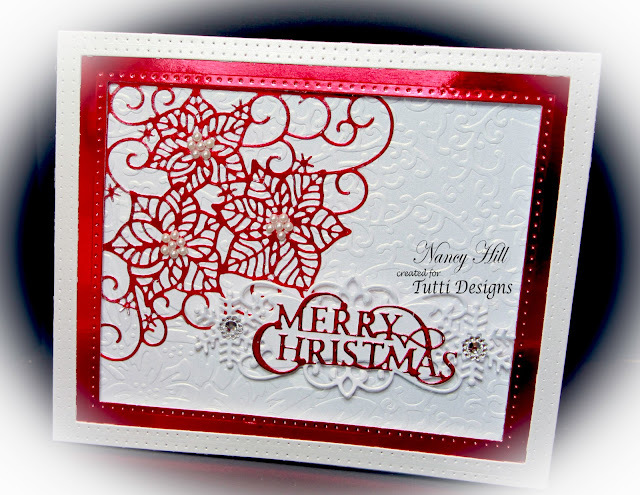 I cut this die out using red mirror card stock and glued it on the embossed white card stock. I added 3mm flat back pearls to the poinsettias. Cut white card stock: 5 1/2" x 6 1/2"
I like framing my cards lately using rectangle and square dies. Just put a smaller die in the middle of the larger die to get a frame. 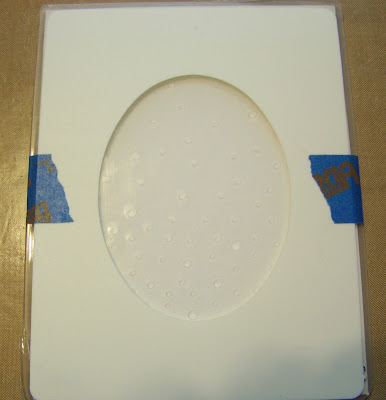 I add 3D foam tape on the back of the frames for a shadow box appearance. It's Nancy Nickel here with another Tutti Designs DT share! 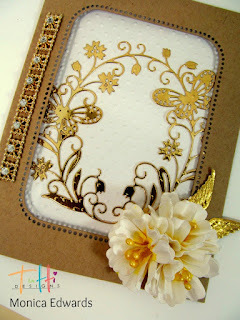 This week I have combined two of the July Release dies. I've used Snowflake Corner and Jolly Snowman to decorate my page. This is an 8 X 8 scrapbook page for my Winter album. and finished it off with a few iridescent sequins! 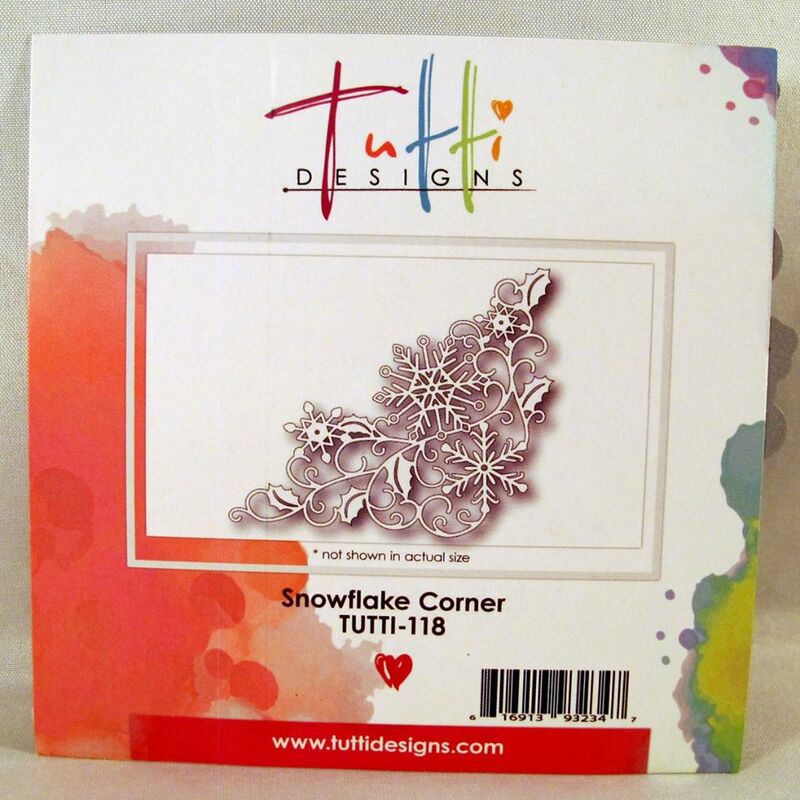 Here's a look at all the intricate detail of the Snowflake Corner. Here's a close-up look at Jolly Snowman. Darlene back with you again this fine Sunday Morning! would help 'cool things off' ... LOL! 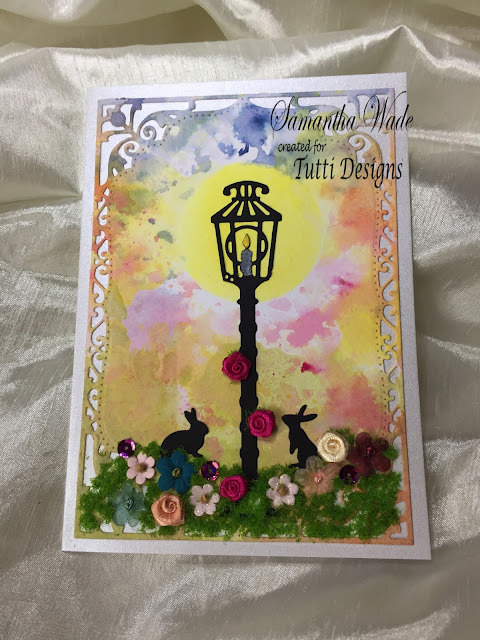 Today I have a creation to share using the fabulous new dies available at the Tutti Designs Store and showcased here on the Tutti Designs Blog. The talented team shares a new sample using this new line of dies each and every day of the week ... be sure to pop over often for inspiration! Here's a few tips on how my card was created . . . Step 1: This photo shows you the negative and positive pieces once die cut. on the trees, house &amp; sky with Spectrum Noir alcohol markers. my die in order to have the perfect shape. I actually cut TWO. glued the front acetate panel,creating a true snow globe. from gold metallic card stock to create the base. And once again reinserted the negative pieces.